Selling out, so sign up now! See you next year in New Orleans on Sept. 9-10! Our conference hotel is the New Orleans Marriott, at 555 Canal St, New Orleans, LA 70130. We have a nightly rate of $179. 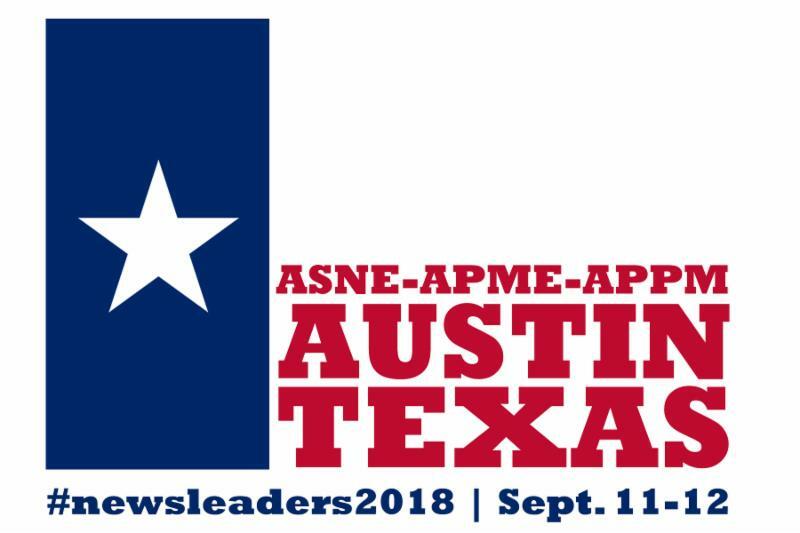 Immediately following the 2019 ASNE-APME conference will be the Online News Association conference Sept. 12-15 at the Sheraton New Orleans. San Francisco Chronicle: After 14 years and $3 billion, has California's bet on stem cells paid off? Submit Your Best Project Ideas for Investigating State Government. There's a new generation of leadership in the offices of the Commonwealth Journal in Somerset, Kentucky. In recent months, the CJ has welcomed Michael McCleery as its new General Manager, and said goodbye to longtime fixture Ken Shmidheiser, while seeing another familiar face, Jeff Neal, moved into the position of Editor. Bill Hanson serves as Senior Publisher of the Commonwealth Journal. As Hanson is not able to be on-site all the time, however, McCleery oversees day-to-day operations at the Commonwealth Journal, and also functions in the role of Advertising Director. McCleery took over this dual leadership role on July 2. "I've been coming down here since April and re-located here at the end of June," said McCleery. Longtime newsroom leader Therese Bottomly was named editor and vice president of content at The Oregonian/OregonLive on Friday. The 35-year newsroom veteran is a nationally recognized leader in enterprise journalism and an outspoken advocate for open records and government transparency. Bottomly, 57, was hired as an intern on The Oregonian's copy desk days after she graduated from the University of Oregon in 1983. She has served in senior leadership roles at The Oregonian and OregonLive since 1998 and was instrumental in transforming the newsroom into a digital-first news organization. She was promoted to senior director of news in 2018 and has been serving as interim editor since late July, after the departure of Mark Katches. "I'm thrilled to be working with Therese in this role," said John Maher, president of Oregonian Media Group. "She knows the market so well, she knows our staff and our history so well and she has a vision for the future." Santiago Lyon (Email) - Scott Braut, former AP national photo desk supervisor from 1994-1999, died suddenly Friday, September 7. He was Adobe's Head of Content, Digital Media (and hired me as Director of Editorial Content at Adobe about a year ago). He was a brilliant strategic thinker and was very well regarded and liked in the photo industry. The cause was pancreatic cancer, which was diagnosed in March, said Dr. Michael A. Newman, who treated him. Mr. Clymer also had Parkinson's disease and Myasthenia gravis, a neuromuscular condition. Mr. Clymer received unsought attention in 2000, when, during a presidential campaign rally, he became the target of a vulgarism by George W. Bush that was captured on a live microphone. It was not the first time he had been attacked. Reporting from Russia for The Baltimore Sun during the Vietnam War, he was beaten at an anti-American demonstration, accused of assaulting a police officer and expelled from the Soviet Union as a "hooligan."